Each and every parent wants to see their child succeed in whatever sport or activity they take up. As a child, many American children decide to play one or more sports as an after-school or summer activity. 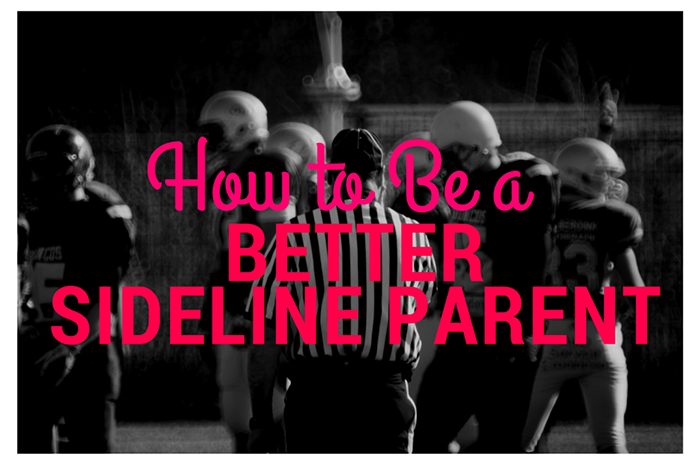 Unfortunately, we’ve all heard horror stories of parents yelling at their children from the sidelines, engaging coaches and officials when things don’t go right for their child, and even expressing outward disappointment in their child. Youth sports are meant to enhance your child’s social and physical well-being as they develop. As a parent, your job is to support your children regardless of the outcome on the field. If you feel the competitive juices flowing when you watch your child play sports, you may want to follow these helpful guidelines for parental behavior that will improve confidence and success in your young athlete. When your child is confident on the field, they are more likely to succeed. Confidence and success in sports can spill over into other areas of their life as well. Likewise, a lack of confidence, too much pressure, and disappointment can have negative impacts on their life. You can boost your child’s confidence by helping them identify beliefs, doubts, and expectations that undermine their confidence. Encourage them to keep a positive outlook, help them practice more, and reassure them that you expect them to enjoy their activities. Winning and losing are not as important as participation. Everyone is afraid of failure. No one enjoys flunking a test and everyone is afraid of losing their job. Your children are equally afraid of losing on the field and feeling like a failure in your eyes. Help your child focus more on their own goals in the sport (e.g. improving sprint speed, hand-eye coordination, or defensive skills) rather than focusing on the perception others have of a particular performance or result. One of the biggest factors you must accept is the idea that your child’s agenda in sport may differ from yours. The only agenda that matters in your child’s youth sport endeavors are their personal goals. Whether your child wants to be with friends, grow in a social circle, or be physically active, what they want should be the primary focus. Talk with your child about the reasons for participating, what they enjoy about the sport, or what matters most to them. Accept and encourage your child’s agenda. It’s natural to feel frustration when you believe your child’s talent isn’t being appreciated on the team. However, unless you hold a coaching certificate in that sport, your knowledge doesn’t trump that of your child’s coach. Learn to become an observer at your child’s games and cheer for them when you have the chance. If you want, talk to the coach about philosophy and agenda to better understand the coaching decisions that impact your child’s playing time. This will help you better communicate with your child as well about playing time. Your child inherently seeks your approval. The worst thing you can do is place the unnecessary burden of high expectations on results on the field. Encourage your child to focus on individual goals and support them in pursuit of those goals. Your child will reap the benefits in the long term, building success and confidence that will spill over into other facets of life.